The Puget Sound Beekeepers have long been involved with the Washington Park Arboretum. When retired Coast Guard Captain Carl Henry Moen was looking for a location for the fledgling Beekeepers Association hives in the 1950s, he made a deal with Arboretum Director Brian Mulligan to place 10 towering hives in a hidden location in the Arboretum (still located there today!). They actually started with 6 hives, which they purchased for $10.00 each from a beekeeper’s widow. Brian was delighted to have bees in order to make sure the many bee-pollinated plants in the Arboretum would bear fruit and seeds. Captain Moen, a native of Toledo, OH, became interested in bees at the age of 19. When he retired from the Coast Guard in 1954, his wife Laura and he moved to Seattle, where he actively pursued for 40 years the caring, teaching, and rescuing of bees. He often appeared on TV and was known to drive for miles in order to rescue a hive in a bewildered homeowner’s house or garden. In a 1980’s news story, Captain Moen said he had hived 1118 swarms, and had directed 1138 swarms to members in over 25 yrs. He was known to deal with 200 swarm cells per day. His grandson in 2002 recalled seeing the back of Captain Moen’s Dodge Dart full of dead bees. Family folk lore says that he placed a queen bee in the casket of a deceased friend so that the friend would always have bees and honey on the other side. The Captain died in 1991 at the age of 91. 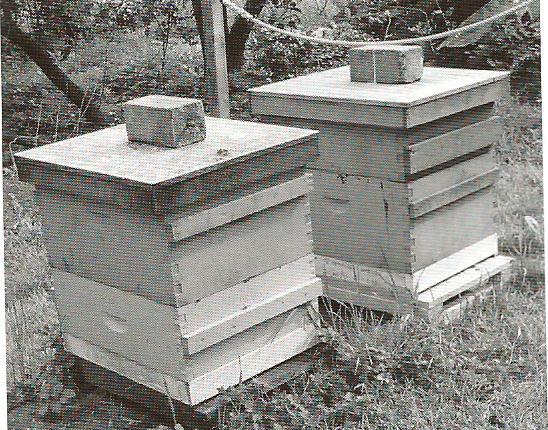 The site of the Arboretum hives was updated in 2002 when the Beekeepers Association moved their monthly meetings back to the Graham Visitors Center where they still meet. Since then, the site has been continually updated and cared for by the Association. The bees are an important part of the life cycle of many Arboretum plants, and are often used in the children’s programs.